A good starting point for entering the discussion of science, religion and naturalism is to start with a short characterisation of science. A first major characteristic of science is its wide scope. Physics is not limited to terrestrial phenomena anymore but one of its sub-disciplines developed into astro-physics. Chemistry can be applied to all processes taking place in non living stuff and living beings alike. Their domain of application seems to be without obvious boundaries. Such basic sciences as physics and chemistry seem to be applicable everywhere and anytime. Second, science is relatively stable although provisional. Scientific knowledge is provisional in the sense that new discoveries can extend our knowledge into new domains unknown before, modify established theories or- if a scientific revolution takes place- lead to an entirely new formulation of a scientific theory. It is stable in the sense that we have strong reason to believe that large parts of scientific knowledge are cumulative being based upon knowledge acquired at an earlier time. For instance, it is hardly imaginable that the belief in the existence of atoms will be disputed again. In a similar way it is hardly imaginable that the theory of evolution as a view of the natural history of organisms will entirely be rejected within the scientific community in the future. The more accurate science describes und understandings reality however, the less it is probable that scientific revolutions take place which have a similar impact to our understanding of the world and of ourselves as the transition from the Ptolemaic to the Copernican system or from a theory of instant divine creation of organisms to an evolutionary theory. Finally, science changes our understanding of the world. Wilfrid Sellars coined the phrase of a ‘scientific image’ versus a ‘manifest image’ (Sellars 1963/1991). A manifest image of the world conforms to our common sense understanding of reality. ‘Folk psychology’ as a primary conceptual framework used by ordinary people to understand, explain and predict their own and their fellow’s behaviour and mental states would equally fit into our manifest image of the world as ‘folk biology’ or ‘folk physics’. These ‘folk-variants’ of established and highly specialised sciences do deliver us a transparent and useful conception of the world we live in. 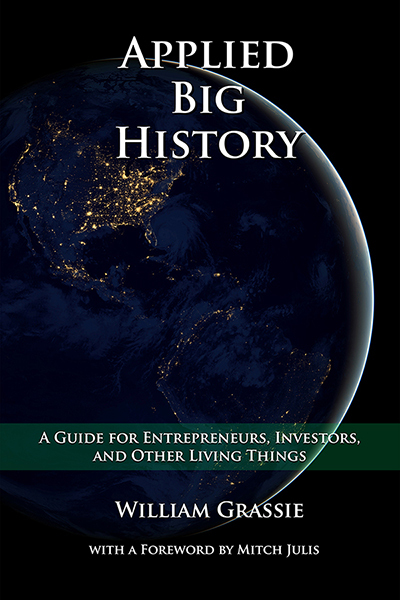 Although our manifest image of the world is subject of reflection and revision it remained very stable and almost culturally invariant throughout the history of mankind. Anthropologist Robin Horton speaks in this context of a ‘primary theory’ of reality which humans generally do share in contrast to ‘secondary theories’ (for instance theories about ghosts, witches, but also about chromosomes or gluons) which many people do not share (Horton 1982). A scientific image of reality instead is the result of conceiving and interpreting the world through the lenses of science. According to Sellars the scientific image is to be conceived as a rival to the manifest image because science offers us scientific images which (apparently) differ from our manifest images. The manifest image is considered to be a “pragmatically useful likeness of reality which first finds its adequate (in principle) likeness in the scientific image” (Sellars 1963/1991, 20). According to this understanding science is the best tool we have in our hands to grasp reality in its structure and causal interactions. Although the manifest image is not utterly ‘un-realistic’, it reproduces to a large degree only a blurred picture of reality. The scientific image instead- in the light of science’s success so far and further assumed scientific advancements still to come- is able to provide a better and better map of our world. A nice contemporary debate where the rivalry between manifest and scientific image can be observed is the debate on free will: We do conceive ourselves as free that is as being able to choose among various courses of action available in a given situation. This is our manifest image of free will. There are, however, psychologists and brain scientists claiming that our manifest image of free will is just an illusion: It is claimed that the real causal mechanisms underlying behavior remain largely unknown to ourselves. According to this account our experience of will is based on a reconstructive model. Ex post we do infer conscious experiences of our own intentional actions in order to explain what we have done. The illusion-thesis of free will presents the scientific image. It is claimed that on the basis of experiments science has shown that there is no free will but just illusions thereof. I do not discuss pro and cons of this theory and its scientific quality. But this current example from philosophical and scientific discourse perspicuously shows how on the basis of new scientific insights it is argued for substituting the manifest with the scientific image. Sellars would claim that the scientific image deserves priority over the manifest image. The task to be accomplished is either to reconstruct the manifest image in terms of the scientific image (if it is possible) or to replace the manifest image altogether through the scientific one (if it is necessary). Science not only supplements but in many ways corrects our manifest understanding of reality. Sellars himself remains rather unclear how the manifest image shall be integrated into a scientific one or how we shall incorporate the scientific image in our ordinary lives. There is, however, no doubt, that his view has a revisionary odour. Science not only changes the image(s) of our world, it revises our traditional image(s) in many respects. In short, science’s success leads to a re-formulation of the general view of reality in the light of scientific discoveries. In philosophy this scientific attitude towards reality can be subsumed under the label ‘naturalism’. Naturalism as philosophy can be seen as a product of reflection about the successful achievements in science (for a similar argument see also Papineau 2001, 3-36). Sellars’ paper is a good example of such an attitude. Due to its allegiance to science and the revisionary thrust paired with scepticism towards our common sense conception of our world Sellars’ paper on the manifest and the scientific image is a landmark of modern philosophical naturalism. In the previous section I tried to show how science affects our lives and how science’s success encourages many people to take up a scientific stance towards reality in general, that is naturalism. In this section I characterize naturalism in a first step in terms of a research program (on this issue see especially Rea 2002, 50-73) and in a second step in terms of a world view. Research programs can be understood as vast networks of theories and (empirical) evidence grouped around a core hypothesis. If the core hypothesis is given up, the whole research program collapses. The core hypothesis makes “a claim about the general aspect or character of reality under investigation; in doing so, it ties together all of the more specialised theories within the program” (Murphy 2001, 516). The characterisation of naturalism as a research program allows to interpret naturalism in a second move as a world view. 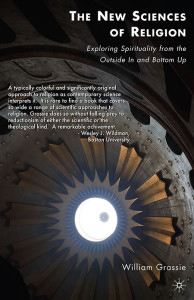 Murphy’s understanding of research program in the natural sciences and the comparison of it with theology as systematic reflection of a religious understanding of reality suggest such an interpretation as well. What is the difference between a research program and a world view? We could say that research programs are limited in their scope- there are research programs e.g. in physics, in biology or in geology. These single research programs focus on a specific level of reality- be it the physical, the biological or the geological. World views instead encompass reality as a whole: Similar to research programs world views are centred around a core hypothesis but in their outlook they are not limited to certain sections of reality (such as the physical, the biological or the geological). On the contrary: Not a specific realm of reality is seen under a general aspect but reality as a whole. I think the term ‘integrative’ grasps in a concise way the main feature of a worldview. Worldviews are ‘integrative’ by tying together the single theories about special fragments of reality we hold and the various experiences we make into a single outlook of all of reality. A worldview is so to say the framework within which we structure our single theories about reality and order the importance we ascribe to specific experiences and actions. I suggest we should understand naturalism as a worldview because as product of philosophical reflection it aims at understanding reality in toto. It is “to understand how things in the broadest possible sense of the term hang together in the broadest possible sense of the term. Under ‘things in the broadest possible sense’ I include such radically different items as not only ‘cabbages and kings’ but numbers and duties, possibilities and finger snaps, aesthetic experience and death” (Sellars 1963/1991, 1). This statement makes it clear that some philosophical positions such as naturalism are subsumable under the heading of a worldview. No aspects of reality are to be left out. It is reality in all its dimensions, facets and mutual connections which has to be understood and interpreted (a look at the Bright’s homepage supports my analysis: there Bright’s are defined as those people who have a naturalistic worldview, that is a worldview free of supernatural and mystical elements which are not accessible to science; see http://www.the-brights.net/). Now, taken for granted that naturalism is a worldview, what is its core thesis? I suggest the following: ‘The success of natural science is sufficient evidence for accepting natural sciences as best tools in telling us what and how reality is. Therefore in acquiring knowledge we are justified to give priority to natural science over all other possible sources of knowledge.’ This thesis is sketchy and probably more could be added. But I think for the present purpose it serves well as starting point for a more thorough analysis of naturalism as worldview. Recall the old distinction between Naturwissenschaften and Geisteswissenschaften. For a long time this distinction was considered among most philosophers as an ‘in principle distinction’: Naturwissenschaften and Geisteswissenschaften are not only in degree but in principle different. There is a methodological gulf between these two ways of conducting research which cannot be bridged: Naturwissenschaften describe andexplain the blind forces of nature, Geisteswissenschaften interpret and understand the purposive acting of conscious beings. In the last decades, however, naturalistic minded philosophers and proponents of various sciences aimed actively at overcoming the old distinction between Naturwissenschaften and Geisteswissenschaften. There are explicit efforts in cognitive science, empirical psychology and neurobiology to enlarge their traditional fields of research into those fields which so far were reserved to philosophy and humanities. New terms such as neuro-philosophy, neuro-ethics or neuro-theology are testimonies of these efforts. 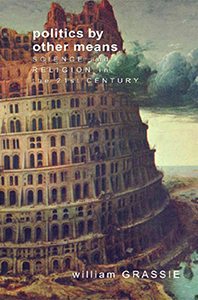 Dennett gives a concise summary of this naturalistic understanding of how things stand today: “The yawning chasm that was seen to separate the sciences of the mind (Geisteswissenschaften) from the natural sciences (Naturwissenschaften) has not yet been bridged securely, but many lines have been flung across the divide” (Dennett 2006, 34). The quote from Dennett’s latest work makes it clear that modern naturalists are confident that an all-embracing naturalistic interpretation of (empirical) reality is on its move. This self-understanding of naturalism is combined with the assumption that we are well-advised to go in our interpretation of reality as less beyond well-confirmed scientific theories as possible. Hypotheses in the Geisteswissenschaften are to be related to well-confirmed scientific evidence in order to make them to defensible and justifiable hypotheses. In other words: There is no ethics independently from scientific investigation into human nature and reasoning, there is no aesthetics without considering empirical research of human feelings about beauty and ugliness etc. In a more constrictive interpretation of the naturalistic thesis we could even say that the hegemonic status of natural sciences regarding the acquisition of secure knowledge leads in the final analysis to the view that sciences are the only avenue to truth (Thompson 1964, 183). Sciences, so to say, tell us best what there is and what there is not and how what there is interacts. Science is- in the dimension of describing and explaining our reality- the measure of all things (Sellars 1963/1991, 173). Naturalism sees the natural world- that is the world accessible to natural science- as the whole of reality that we know of and interact with. No supernatural or spiritual realm distinct from the natural world itself shows up within our world. Of course naturalism cannot exclude that a spiritual or supernatural world exists. But this would be a world we cannot interact with, a world completely separated from the reality we live in and we are familiar with. Hence, naturalism goes hand in hand with the rejection of the supernatural. According to naturalism everywhere in the world everything can be explained rationally: Natural sciences aim at explaining everything in our world with means which are comprehensible and reviewable in the light of reason. If there is an authority to be believed it is nature itself by giving testimony in observable natural processes or experiments conducted in laboratories. Since natural sciences are the main tools for investigating the testimony nature gives, natural sciences are according to naturalism the main actors at the modern court of reason. They set the standards according to those hypotheses, assumptions and arguments are weight in their persuasiveness. If there were divine interventions, miracles or revelations, the only hope of ever demonstrating it, would be by adopting the scientific method. It would have to be shown that science is utterly unable to account for the phenomenon under scrutiny and that all possible evidence to explain the phenomenon naturally ends in nothing. Then it could be inferred that all the evidence given a supernatural intervention took place. The so called evidentialist objection against religious beliefs has to be located in this context. According to the evidentialist objection religious beliefs are void of empirical evidence and thus they are hardly justifiable from a rational point of view. Probably the most prominent version of the evidentialist objection was given by William Clifford at the beginning of the last century in his ‘Ethics of belief’. According to Clifford “it is wrong everywhere, always and for any one, to believe anything upon insufficient evidence” (Clifford 1901/1999, 273). There has been much of discussion about the validity of this principle and whether a consequent application of it does not lead into a general scepticism about many issues which at first sight are quite unproblematic, such as opinions about politics, social matters and even scientific theories (see for instance, van Inwagen 1996/1999, 273-284). The current epistemological debate seems to flesh out that Clifford’s ethics of belief overshoots the mark. But let us set this issue beside. To call on Clifford’s principle at this point of the discussion does not mean that Clifford himself was a naturalist or that he supported the naturalistic agenda. The point I want to make is that objections against religious beliefs because of an apparent lack of good evidence is the outflow of a naturalistic veneration of natural sciences and their methodology. I do think that Clifford’s principle is a good example to show due to which tacit presuppositions religious beliefs are discredited in an age of high esteem for the natural sciences. Similar to superstitious beliefs such as talismans and astrological deliverances in the morning newspaper religious beliefs are considered to be beliefs about our reality which go well beyond what is warranted by evidence. There is not only luck of evidence but apparently also no way to acquire it someday. After all, religious beliefs are considered to be in a similar position as a hypothesis in the natural sciences which has little or no evidence and no prospects of doing experiments that provide a means for gathering evidence for it. If this analysis is true, naturalism is the natural ally of agnosticism and atheism. On the basis of the assumed universal hegemony of science, it offers the philosophical framework within which a neutral stance towards God (agnosticism) or the rejection of theism (atheism) finds its home (see for instance O’Leary-Hawthorn 1999, 119-120 and Fales 2006, 118). In the light of our modern world- which is heavily influenced and moulded by sciences- we have good reason to assume that naturalism is among the most influential rival worldviews of theism. What this account of naturalism does not exclude is that the world as a whole was created by a transcendent being. Although such a conclusion is very unlikely for a naturalist she might say that such speculative questions naturalism is unable to answer in a definite way. What this account of naturalism, however, does exclude is that a (supposed) transcendent realms becomes manifest in our natural world. This is enough for making naturalism a rival worldview of theism. I characterized naturalism as a worldview with an epistemological core assumption. It says that sciences are the best means at our disposal for achieving true knowledge. I guess many naturalists would agree that naturalism has foremost an epistemological meaning. Epistemology, however, is closely intertwined with ontology. If epistemology- among other things- aims at formulating what we can know and how we get to know what we possibly can know, then epistemology sheds also light on ontological questions. The question what it is what we can know points to the further question which properties those things have which we know of and how these things exist, for instance dependently on others things or independently. In this section I will put some flesh on the bones of naturalism characterised so far. I do so by digging into the ontological implications of naturalism. I chose ontology because it is one of the neglected fields of study in the context of the naturalism/ anti-naturalism debate. Many contemporary naturalists refuse to pursue studies in ontology. They argue naturalism should be interpreted neutrally from any ontological point of view. Naturalism should leave ontological discussions aside and concentrate on epistemology in order to support interdisciplinary projects between science and philosophy. It could start with concepts of folk psychology and take into account empirical investigations of cognitive science. Ontological discussions instead tend to complicate- instead of enhancing- the interdisciplinary project between science, philosophy and common sense respectively (e.g. Clayton 2004, 142). Most scientists do not explicitly care for ontology. They argue it is alien to scientific practice to spell out what a certain theory implies ontologically. This is good so. Scientists are not paid for doing ontology. But naturalists are philosophers and from a philosophical point of view I deem an ontologically neutral or abstinent naturalism unsatisfying. If one accepts scientific realism and the thesis that explanatory concepts in science come along with ontological commitments, then a tension between different causal claims and various scientific explanations becomes a problem at some point. Psychology, for instance, makes causal claims about mental states and neuroscience makes causal claims about neurological facts. Now, if it is assumed (as most non-dualists would do) that mentality depends upon neuronal activity in the brain, then the question arises about the relation of these different causal claims. Are they just two different descriptions of the same reality? The decisive question is what is doing the causal work: Does mentality dispose of mental causal powers? Or is mentality only causally efficacious in virtue of its dependence upon neurological activity? This problem shows that it is not unusual that various scientific explanations and its corresponding ontological implications are in tension with each other. There are causal entanglements between the various levels of reality investigated by different scientific disciplines. These causal entanglements raise all sorts of issues which have been dubbed “problem of causal competition”, “problem of causal exclusion” or “problem of cross-level causation”. These issues will have to be evaded or answered. All the more so if naturalism understood as a worldview aims at explicating how things in hang together in the broadest possible sense of the term, as Sellars put it. If our argument is right, ontological questions are neither external to scientific practice nor of no interest for naturalism. Naturalistic minded philosophers should regard it a substantial topic of their research to work out which ultimate structures of reality we are reasonably enabled to accept according to a naturalistic worldview. If science ultimately recognizes what is real and unreal, then any ontology faithful to this naturalistic attitude has to be developed under the authoritative guidance of science. I label such an attitude ‘scientism’. Hillary Kornblith gives a succinct expression of this view: “Current scientific theories are rich in their metaphysical implications. The task of the naturalist metaphysician, as I see it, is simply to draw out the metaphysical implications of contemporary science. A metaphysics which goes beyond the commitments of science is simply unsupported by the best available evidence” (Kornblith 1994, 40, my italics). In order to put Kornblith’s recommendation into practice, two things have to be done first. Solution 1: Scientism pursues a reductionist strategy. It is assumed that the entities of higher level sciences are reducible to micro-physical entities: Biological entities, for instance, ought to be reduced to chemical entities and these to physical ones. In the final analysis, such a version of scientism turns into physicalism, as all higher level sciences and the phenomena they are studying are basically reducible to a (assumed complete) science of physics and its field of studies. The admissible entities are the entities of physics: those that can be detected or measured and that figure in the laws of physics. Solution 2: The restrictions of solution 1 are relaxed. Scientism turns into a kind of conciliable, liberal or pluralistic naturalism. Conciliable naturalism says we should accept as relevant everything we think we need to make sense of the things that we are convinced are part of our world. For instance, it might be claimed that mental states or even psychological substances belong to the furniture of our world existing embodied in physical entities. What this view denies is “the existence of disembodied gods, angels, demons, souls and the like; in short, most of the denizens of the supernatural, as ordinarly conceived” (Fales 2006, 128). Solution 3: Scientism relies on some well established sciences, such as physics, chemistry and biology. I call this position ‘naturalism of mature sciences’ because the scientific character of this venerable triad of sciences is rarely put into question. This version of naturalism can be considered as a middle path: It avoids the openness and elusiveness of conciliable naturalism on the one hand without subscribing to a too strong reductionist version of physicalism on the other hand. How shall we deal with the three solutions? Solution 1 can be classified as being problematic because it has unpalatable consequences: According to this view, the world we are familiar with is ontologically inferior or negligible. There are no physical facts above micro-physics, no causal powers above the powers of the ultimate constituents of reality. The world as we conceive it, the causal powers we ascribe to the objects of our meso-cosmos, such as animals, fellow human beings, cars or stones- in short, our Lebenswelt, drains away after all. The drainage is only stopped at the micro-level. The manifest image has to be thoroughly revised; the scientific image refers only to the ultimate level of reality- the level of micro-physics. This is the only realm of reality which truly has to be taken seriously from an ontological (and maybe on the long run of science also from a scientific) point of view. In other world: There are no powers which can be attributed to ourselves in a genuine way. There are only the powers of micro-particles constituting us and in virtue of these micro-physical powers of our constituents we can speak analogously of ‘our own powers’. Solution 3 remains for now the only player in town. I should add that for my argument it is not of further importance whether ‘naturalism of the core sciences’ considers only physics, chemistry and biology as relevant sciences or whether the list can be extended for justified reasons. Central for our argument is that a well-defined notion of science is to be presupposed if ‘naturalism of the mature sciences’ shall work. Explicating the concept of science is a necessary precondition for being able to declare which sciences are relevant for the construction of an ontology justifiably based upon scientific insights. Call this the following Popper the “demarcation problem” of science (see Duprè 1996, 222-223). Without a clear concept of science, however, scientism can hardly justify why it takes certain sciences seriously whereas others are seen as less important. This gives rise to the impression that favouring certain disciplines over others amounts to a mere convention. Naturalists have to answer the question about their concept of science: “Having declared that the methods of natural science provide the only avenue to truth, the naturalist should be prepared to say which these methods are, or which sciences qualify as ‘natural sciences’” (Keil 2000, 148). i) Let us provide methodological criteria which separate sciences from non-sciences. ii) Let us provide a list of acceptable sciences. iii) Let us achieve the unity of science. I discuss all possibilities in turn. i) It is a fact that in scientific progress methods of science develop. 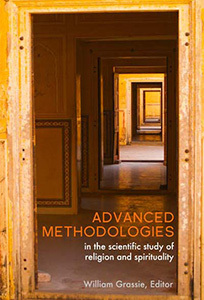 Long established methods in scientific practice are factored out as not being scientific enough anymore whereas other methods become integral parts of current scientific practice. Standards what counts as scientific and what as unscientific change with the course of science’s development. The distinction between astronomy and astrology was blurred for a long time. In the laboratories of European dynasties scientists retraced the course of stars on the one hand and calculated the fortune of their employees on the other. They did so as scientists since astrology was considered to be scientific (many people still do so!). And socio-biology, for instance, became a centre stage of scientific interest in recent years although it relies heavily on methods and data drawn from sociology, ethnology and even archaeology. And how shall we classify astrobiology? Is it a natural or merely a speculative science? These examples are not supposed to downgrade the mentioned disciplines; they should show that science’s development is in continuous flux: What was at the height of scientific standards once is now considered with more suspicion and what was once a rather esoteric sub-discipline developed to a large and venerable field of study. It cannot be determined a priori what counts as scientific method and what not. Naturalism due to its commitment to follow science wherever it leads depends inextricably on science. As a consequence, naturalism cannot impose a priori methodological criteria on science. Otherwise naturalism would not by a loyal companion of science anymore but set oneself up as judge over it. A move utterly self-contradictory with naturalism. ii) A list of admissible sciences can only be compiled if criteria are available telling us which sciences we should put on our list. It is impossible to provide a non-arbitrary list of accepted sciences without methodological criteria. Methodological criteria, however, are unavailable to us as the discussion in i) has shown. Hence, I conclude that a list of acceptable sciences is out of reach for naturalism. iii) Most evidence speaks against the project of being able to achieve the unity of science. ‘Unity of science’ has (at least) a double meaning. It can mean ‘unity in content’ or ‘unity in methodology’. Let us start with the first meaning. A number of naturalistic philosophers point towards processes of scientific unification, that is processes forming links of various kinds between so far separated fields of study. Dennett, for instance, claims that evolutionary biology shall be used for explaining the genealogy of theological thought. He calls on evolutionary biology for explaining the nearly ubiquitous and the persistent maintenance of the belief in God (Dennett 2006, 147). Such a research program can unify separated fields of studies such as sociology of religion, religious education and evolutionary biology. However convincing such cases for thesis of a growing unification process of science are, they imply nothing about the probability that science will ever undergo global unification. Theoretical accounts and case studies about the significance of unification tell us nothing about the existence of unity. Now we can turn to the second meaning of ‘unity’. Since I dealt with it already in the previous section, I will keep it short. As argued, there are no convincing reasons why we should justifiably believe that a distinctively scientific method exists. Popper was one of the few philosophers tackling extensively the demarcation problem of science. His falsificationist criterion of scientificity has, however, been widely rejected. Since Kuhn’s ‘structure of scientific revolution’ the philosophical world became more and more aware that apart from reason driven factors in the explanation of scientific development broader ideological, political and other extra-scientific factors play an eminent role in science. The game of science is not played in a realm void of any social, economical or political factors. The contrary is the case. If this appraisal of the situation is correct, then there are currently no signs of a realisation of the project of the unity of science in terms of content and/or method (see also Dupré, 1996, 221-233 and Dupré 2004, 51). The moral to be drawn from this section is that naturalists have a bad standing in formulating the grounds on which naturalism shall be erected. The way of conciliable naturalism is not open to them. If almost everything is assumed of being part of the naturalistic enterprise, then naturalism turns into triviality. The way of scientism of the mature sciences is jammed as well. As long as there are no clear criteria distinguishing science from non-science, the entire project of a science-based ontology cannot be achieved. It is simply unclear at which sciences naturalists should refer to. Drawing out the ontological implications of contemporary science seems to be an impossible mission. How shall we proceed then? Remember that there is still a third option I did not discuss yet. It is solution 1- physicalism. Physicalism seems to be the only remaining option worthy of a closer scrutiny. If this is true, naturalists should accept what generally they are loathly to do: To argue that physicalism, and the reductionism or eliminativism coming along with it, is the most promising route for presenting the distinctive features of naturalism. Reductive physicalists claim that all higher level entities are (in principle) reducible to physical ones. According to them higher level entities present no domain of their own but are reducible to and identical with entities in the physical realm. In a final analysis, all that exists are physical entities– whatever they may be– and sums of them. Non-reductive physicalists reject such a strong reading. They accept the existence of higher level entities in a genuine sense as well. According to them there are facts in the world that simply cannot be stated or noticed in terms of lower level entities. It is the incompleteness of lower level ontology that justifies the acceptance of irreducible higher level entities. What, however, is generally accepted, is that these higher level entities are asymmetrical dependent on the physical level. This dependency-relation is mostly dubbed as supervenience relation. Basically it says: No changes at the higher levels without changes at the lower level. Two systems exemplifying exactly the same physical states exemplify the same higher level states as well, but not the other way around. Probably most philosophers fancying physicalism subscribe to a version of non-reductive physicalism. According to them one can go up the hierarchy of levels and consider entities at higher levels as real without being forced to assume new kinds of obscure metaphysical ingredients like vital forces, entelechies or souls. Higher entities do not consist of physical parts + something non-physical. All the entities being there are “physical in nature”. Being physical in nature, however, does not imply that higher level entities and their properties are reducible to the sums of physical particles and their properties. “Thus, one might want to say that higher-level entities, such as human beings, are real-as real as the entities that compose them-and at the same time reject all sorts of vitalism or dualism” (Murphy 1999, 130). Higher level entities supervene upon their physical basis but the ontological significance of these entities is acknowledged because a comprehensive reduction to their basis is excluded. A similar argument is put forward by E. Fales in his discussion of physicalism. According to him “that there are mental states is indisputable, and if they are not reducible to physical states, the naturalist can maintain that they are part of the ordinary furniture of our world, no more problematic than material objects, and moreover not outside the ambit of scientific investigation” (Fales 2006, 127). Notice the tension between the ontological primacy of the physical level on the one hand and a realist understanding of higher level states on the other hand. Perplexities arise when we ask how higher level entities ought to be characterized ontologically. Non-reductive physicalists cannot simply downplay the problem by saying that it is an obvious fact that there are mental states and thus, they belong to the ordinary furniture of our world. If it is assumed that our world is basically a physical world, then it has to be explained where mental states come into play and what their ontological and causal status is. And saying that mental states are always bound to physical states will not do it either: “(…) non-physical fleas, such as our minds, are not made physical by having little physical fleas inside ’em: so either these non-physical entities do not exist or this so-called ‘physicalism’ admits (…) that not everything is physical” (Crane/Mellor 1995, 85). Non-reductive physicalists have to solve a major problem of their account: The assumed dependency of higher level entities on the physical oscillates between reductionism and breaking the seal of the physical domain: Either dependency and supervenience is defined in such a way that higher level entities are identical and consequently reducible to physical ones or dependency is so weakly defined that the higher level domain gets a life on its own and cannot be dubbed physical anymore. The problem for non-reductive physicalism can be stated in the form of a dilemma: Non-reductive physicalism aims at interpreting the world of our common sense realistically. For achieving this purpose it employs dependency or supervenience relations of higher states on the physical. Thereby the physical level looses on importance and definiteness. Non-reductive physicalism runs a risk to burst the physical realm altogether and thus turning into a version of liberal naturalism. If, on the contrary, the domain of the physical is kept restrictive, then non-reductive physicalism seems to slide into reductive physicalism. It was especially Jaegwon Kim raising this point. He argued at length that non-reductive physicalism is an unstable house of cards. It is a promissory note between the poles of conciliable naturalism and reductionist physicalism which has not been cashed out yet. Kim reminds non-reductive physicalists to be consequent: “[…] if you have already made your commitment to a version of physicalism worth the name, you must accept the reducibility of the psychological to the physical […]” (Kim 1995, 134). Kim’s argument concerns not only the mental but can be generalized for all higher level entities since the mental is just one kind of higher level entity among others (Kim 2005, 52-56). Before focusing on Kim’s argument itself, something needs to be said about its premises: It is crucial for the argument that physicalists subscribe to the principle of causal closure of the physical (CCP). CCP says something like the following: “At every time at which a physical state has a cause, it has a fully sufficient physical cause” (Lowe 2000, 27). Every physical state P which is caused at a certain time t has as its cause a set of other physical states existing at this certain time t, such that: i) each of these states is a cause of P and ii) together they are causally sufficient for P.
If CCP is rejected, various kinds of non-physical entities could be accepted as causes of physical states. One major problem with this assumption is that these non-physical entities are not accessible to physics. According to many naturalists CCP is a presupposition which is part of a reasonable interpretation of our physical theories about the world. Otherwise physics could not be applied to certain domains of our reality (see e.g. Beckermann 2000). Such a limitation of physic’s applicability runs counter the basic commitment of naturalism that physics is applicable universally to the causal web of the world we inhabit. Additionally physicalists accept a supervenience relation of higher level entities upon lower level ones. The supervenience-relation is supposed to grant that higher level entities are ‘bound’ to lower level ones. The assumption of identity of higher level phenomena to physical ones is perfectly compatible with the assumption of supervenience. If these two premises are accepted Kim’s argument briefly goes as follows (Kim 1995, Kim 2005): For the easiness of illustration, I call any arbitrary higher order state Mn and any arbitrary lower level state Pn. First, higher order states are supervenient on lower level ones. If there are two arbitrary higher level states M1 and M2, then there must also be two lower level states P1 and P2. P1 and P2 are the supervenience bases of M1 and M2. Suppose now, that M1 causes M2. If this is assumed, M1 would have to cause P2 as well in virtue of which M2 appears. However, because of CCP, P2 must also be caused by P1, while the appearance of P2 allows M2 to exist. As the domain of the physical is closed (according to the physicalist) M1 cannot by itself cause P2. Thus, P1 must cause P2. Therefore the causal chain from P1 to P2 and to the supervenience of M2 is sufficient for M2 to appear. Since a physicalist accepts CCP, the causal chain from P1 to P2 is not only sufficient but furthermore the only acceptable one for him. If M1 really causes M2, and the causal chain leading to M2 starts with M1‘s supervenience base P1, then M1 must be identical with P1. Hence, taking higher level causation seriously within a physicalist ontological framework embraces the thesis that only reducible higher level entities possess causal efficacy. The main purpose of the argument is to show that the assumption of the supervenience relation together with CCP lead to a determinate ontological commitment. This commitment states that higher level phenomena make a difference only if- via the supervenience relation- they are identifiable and hereby reducible to physical states. Such a conclusion follows if causal over-determination (M1 and P1 each fully sufficiently cause M2 at the same time t) on the one hand and partial causation (M1 and P1 together partially cause M2 at t) on the other hand are excluded. Assuming a (constant) causal over-determination would lead us to a highly fragmented understanding of reality because various causal histories for a single event would be equally true. Apart from this undesirable result there is no empirical evidence for it. Partial causation, on the contrary, is excluded by CCP itself, as it states that every physical event has a sufficient physical cause. Thus, a physicalist by accepting CCP and some kind of supervenience relation faces pressing ontological reasons for embracing as well the thesis that ontological relevant states at higher levels are identical and thereby reducible to the states of the bottom level of reality. CCP and supervenience seem to be intertwined insoluble with the ontological commitment that all facts are fixed on the bottom level of reality. If, however, this price is too high to be paid, one or both of the principles are to be abandoned. Abandoning the principles equals with a rejection of basic assumptions of naturalism. It would be accepted that there are phenomena we are familiar with which slip through the net of causal and functional explanations put up by science. The ontological consequences of such an epistemological move would be that the existence and causal interaction of (disembodied) conscious substances in and with our world cannot be excluded anymore. What CCP does not rule out are epiphenomenal states. Epiphenomenal states are higher level states which are not reducible to physical ones but which are causally powerless. As such epiphenomenal states remain outside the realm of the physical. Nevertheless they are considered often to be no serious threat to a physicalist framework as they are causally ineffective (Kim 2005, 170-173). It might, however, be asked whether epiphenomenalism truly can be dispatched so easily from physicalism. If epiphenomena are causally irrelevant, how can we know anything about them? Any good reason for assuming the existence of an entity is due to its causal efficacy, by whose virtue we get knowledge of it. So either we have a good reason for assuming the existence of an entity, but then we must accept that it affects us in some way and is no epiphenomenon anymore; or it is an epiphenomenon but then we can really have no good reason for assuming its existence. Epiphenomenalism seems to be a too cheap way out for physicalism. A thoroughly coherent form of physicalism is pushed towards complete reduction. I do not want to dwell on this issue any longer because it launches a discussion on its own. The decisive point I wanted to raise is whether it can be shown that higher level phenomena are reducible to physical entities or not. If not, we have to assume the existence of irreducible higher level phenomena. Then, physical theory in terms of epistemology and reductive physicalism in terms of ontology are unable to capture certain features of our world. Physicalism as a comprehensive philosophical program has failed then. If it can be shown instead that no irreducible phenomena exist, reductionism is on its move. Many physicalists postpone the pressing answers how their acceptance of CCP and/or their conception of supervenience are reconcilable with non-reductive accounts of reality. If my arguments are correct they pinpoint that a non-reductive physicalist faces unavoidably conflicts between the assumptions of different levels of reality: Questions concerning the causal closure of the physical domain, the ontological overlapping or even competition of higher and lower level entities call for an answer. At this point a proponent of the reductionist program might refer to science’s future success of accomplishing complete reduction. Although we are currently still remote from such a state in science’s development, a glance at the history of science sheds hope: Successful programs of reduction already have been carried out and further ones will follow. Thus, it is legitimate to suppose that new forms of reduction even in such dodgy cases as our consciousness will once be as successful as it already has been proven to be in other realms of science. I assume referring to successful examples in the history of science is not really a convincing argument for a general reductionist outlook. There are many phenomena tenaciously resisting reduction as contemporary debates in philosophy of mind or philosophy of nature show. Nor is it satisfying to talk about ‘reduction in principle’ or ‘reduction being possible in the long run of science’. To refer to a future point in science’s progress (when the program of reduction finally will be carried out) runs a risk of becoming a mere strategy of immunisation in the face of unsuccessful attempts of reduction. The same holds for the claim that reduction is possible in principle, but cannot be executed in practice because the entities which are to be reduced are too complex. It can plausibly be demanded that successful reductionism has to be carried out in a double way: It needs to analyse higher level entities into physical ones (top down reduction) on the one hand and it also has to be explained how higher level phenomena result from its physical constituents (bottom up reduction) on the other hand. As long as such a program of reduction has not been carried out proponents of the reductionist program do owe us a convincing answer. Due to the success of natural sciences, naturalism gains unjustified plausibility in academic circles. Naturalism tells us that the manifest image of the world might not go at ease with the scientific one and that in such cases the scientific image comes first. As Drees puts it: “(…) in the light of the success of sciences we have to give ‘hard naturalism’ priority over ‘soft naturalism’ if there appears to be a conflict; science not only supplements, but, in many instances on good grounds, corrects our (soft) ‘natural’ understanding of reality.” (Drees 1996, 11). Drees’ opinion that science is uniquely privileged as a way of knowing is widely held. It goes hand in hand with a basic distrust of beliefs which are not backed up by science, such as religious beliefs. In recent years both claims- that religious beliefs are merely subjective and speculative whereas scientific theories deal with facts and are thus certain and objective- were subject to detailed analysis and criticism (see for instance Stewart 1999, 333-341). The point of my paper was not to go through this discussion again. Instead I aimed at showing what epistemological and especially ontological commitments with naturalism come along. Naturalists present naturalism as a scientific philosophy or in a more comprehensive interpretation as a scientifically justified worldview. By doing so they confer upon themselves a heavy burden: Either naturalists have to show how they can steer between reductive physicalism on the one hand and trivialization of naturalism on the other hand if they are looking for a non-reductive version of naturalism. Or naturalists have to show how thoroughgoing reduction- or even eliminativistic versions- are possible. As far as I can tell naturalists have not shown us yet how this is going to be. As long as naturalism is not telling us how this is going to be, we have sparsely reasons to believe that the naturalistic program has been carried out in a convincing way. So far evidence seems not to speak in favour of naturalism. Beckermann, A. 2000: “Ein Argument für den Physikalismus.” In. Keil, G. und Schnädelbach, H. (eds.) Naturalismus. Frankfurt a. M.: Suhrkamp, 128-143. Clayton, P. 2004: Mind and Emergence. From Quantum to Consciousness. Oxford: Oxford University Press 2004. Clifford, W. 1901: “The Ethics of Belief.” In: Stump, E. and Murray, M.J. (eds. ), Philosophy of Religion: The Big Questions. Malden, MA: Blackwell, 269-273. Dennett, D. 2006: Breaking the Spell. London: Allen Lane. Crane, T. and Mellor, H. D. 1995: “There is no Question of Physicalism.” Postscript. In: Moser, P.K. and Trout, J. (eds. ), Contemporary Materialism. A Reader. London: Routledge, 65-89. Dennett, D. 2006: “Atheism and Evolution.” In: Michael, M. (ed. ), The Cambridge Companion to Atheism. Cambridge: Cambridge Univ. Press, 135-148. Drees, W. B. 1996: “Religion, Science and Naturalism.” Cambridge: Cambridge Univ. Press. Dupré, John 2004: “The Miracle of Monism.” In: De Caro, M. and Macarthur, D. (eds. ), Naturalism in Question. Cambridge, MA: Harvard Univ. Press, 36-58. Duprè, J. 1996: The Disorder of Things. 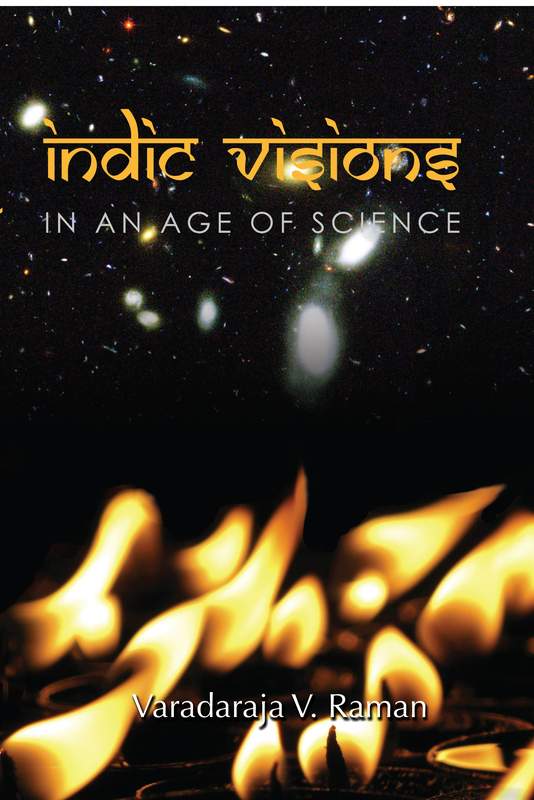 Metaphysical Foundations of the Disunity of Science. 2nd edition. Cambridge, MA: Harvard Univ. Press. Fales, E. 2006: “Naturalism and Physicalism.” In: Michael, M. (ed. 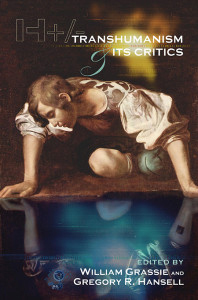 ), The Cambridge Companion to Atheism. Cambridge: Cambridge Univ. Press, 118-134. Kim Jaegwon 1995: “The Myth of Nonreductive Materialism.” In: Moser, P.K. and Trout, J. (eds. ), Contemporary Materialism. A Reader. London: Routledge, 133-149. Kim Jaegwon 2005: Physicalism or something near enough. Princeton: Princeton Univ. Press 2005. Koppelberg, D. 2000: “Forms of Naturalism in the Philosophy of Mind.” In: Nannini, S. and Sandkühler, H. J. (eds. ): Naturalism in the Cognitive Sciences and the Philosophy of Mind. Frankfurt a. Main: Peter Lang, 11-29. Kornblith, H. 1994: “Naturalism: Both Metaphysical and Epistemological.” In: Midwest Studies in Philosophy XIX, 39-52. Lowe, E. J. 2000: Introduction to the philosophy of mind. Cambridge: Cambridge Univ. Press. Murphy, N. 2001: “Theology and Scientific Methodology.” In: Peterson, M., Hasker, W., Reichenbach, B. and Basinger, D. (eds. ), Philosophy of Religion. Selected Readings. New York/Oxford: Oxford Univ. Press, 513-531. Murphy, N. 1999: “Nonreductive Physicalism. Philosophical Issues.” In: Brown, W. S., Murphy, N. and Malony, N. (eds. ), Whatever Happened to the Soul? Scientific and Theological Portraits of Human Nature. Minneapolis: Fortress Press, 127-148. O’Leary-Hawthorn, J. 1999: “Arguments for Atheism.” In: Murray, M. (ed. ), Reason for the Hope Within. Grand Rapids, CA: Eerdmans Publishing Company, 116-134. Papineau, D. 2001: “The Rise of Physicalism.” In: Gillett, C. & Loewer, B. (eds. ), Physicalism and Its Discontents. Cambridge: Cambridge Univ. Press, 3-36. Rea, M. 2002: World without Design. The Ontological Consequences of Naturalism. Oxford: Oxford Univ. Press. Sellars W. 1963/1991: Science, Perception and Reality. Atascadero, CA: Ridgeview Publishing Company. Stewart C.W. 1999: “Religion and Science.” In: Murray, M. (ed. ), Reason for the Hope Within. Grand Rapids, CA: Eerdmans Publishing Company, 318-344. Strout, B.2004: “The Charm of Naturalism.” In: DeCaro, M. & MacArthur, D. (eds. ), Naturalism in question. Cambridge, MA: Harvard Univ. Press, 21-35. Thomposon, M. 1964: Naturalistic Metaphysics. In: Chisholm, R. et al. (eds. ), Philosophy, 183-204. Van Inwagen, P. 1996: “It is Wrong, Everywhere, Always, and for Anyone, to Believe Anything upon Insufficient Evidence.” In: In: Stump, E. and Murray, M.J. (eds. ), Philosophy of Religion: The Big Questions. Malden, MA: Blackwell, 273-284.